Colorstrokes is a pop culture event where you can learn finest forms of art, shop exclusive labels, enjoy food and drinks, listen to some good music and have fun. 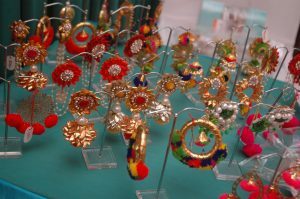 Filled with colourful jewellery, modern-ethnic fusion attire, quirky stationery and creative home décor products coupled with delicious food and healthy juices to drink and electronic house beats playing in the background livened up heritage hotel Diggi Palace on this bright summer day. 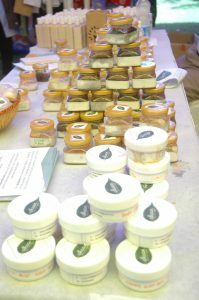 One of the most quirky stalls at the festival was ‘Why Not Autumn’. 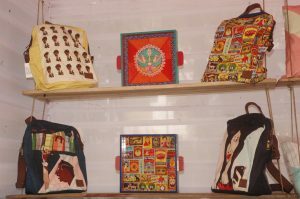 With an assortment of artistic products such as graphic art designed stools, diaries, key chains, messenger bags and iPad sleeves with funky drawings the stall managed to attract the crown quite easily. 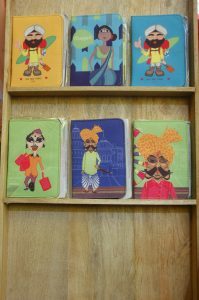 Add a little colour to your homes and lives with these trendy and chic products. Makhanas in different flavours like Peri Peri, Cheese n Tomato, Salt and Pepper, Cream n Onion by Mitthi Bakers were also a major crowd puller. Also available were delicious homemade chocolates and cake rusks. When you’re done eating the lip smacking home made cupcakes, pies and cookies from Aarti, take home DIY cookie jars and make some for yourself. 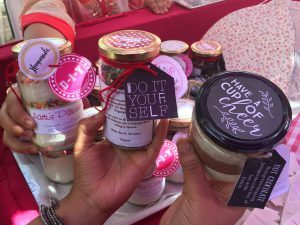 Don’t worry if you are not a culinary expert, the jar has instructions that will help you in mixing the dry ingredients in the cookie with butter, oil and vanilla essence and bake sumptuous cookies. They are available in chocolate chip, double chocolate and rainbow flavours. 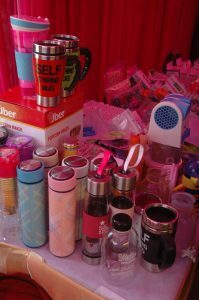 Some of the major attractions of the event included innovative products at Limod by Nupur like self stirring coffee mugs, herb infusion bottles, Mini ACs, zipper earphones, among others. The recent trend of pom poms in jewellery and clothes made its mark in Colorstrokes as well. Tops, Kurtas, Earrings, bracelets and neck wear donned with multi coloured pom poms were quite prominently featured and attracted a lot of crowd. Amidst the hustle and bustle of our everyday lives it becomes very difficult to look after our skin and enjoy a luxurious beauty regime. 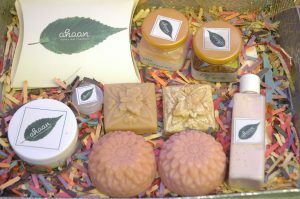 ‘Ahaan’ brings you homemade cosmetics and bath products all made from natural herbal ingredients. 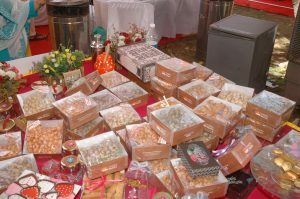 Ms. Shikhawat who is also an Energy Healer uses essential oils, homemade powders and clays to create products which heal one’s body and balance the chakras to alleviate depression and calm a disturbed mind. The brand believes in using plant based extracts to infuse the benefits of nature in all their products. 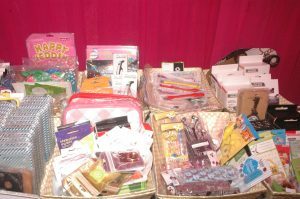 Their products include – scrubs, handmade soaps lip balms, baby products, oil free moisturizers, natural deodrants, nourishing body butters and much more. The price range of these products are Rs. 150 – 350 only. All their products are animal cruelty free and contain no parabens/ sulphates/ carcinogenic chemicals.